This evening I spoke to a client who was feeling very down and stressed. 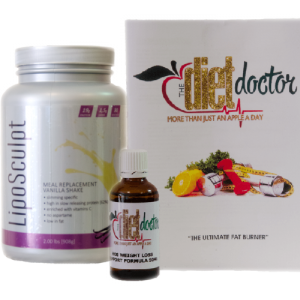 She has been on the HCG Diet Program for only a week and has already lost 3 kilograms but she was very concerned as she had a slip up today. She without even thinking about it took her daughter to a kiddies birthday party and grabbed and ate two marshmallows without even thinking about it. I know her so I know she ate the marshmallows without thinking…oops! She was so worried that she had undone all the good that she had accomplished. This led me to write this post about cheating on the HCG Diet. We are all human and life happens but if you want to achieve the maximum Weight loss then you really do need to have your mind In the right place. However should you slip up for any reason,just shrug it off …do not let it destroy or derail your weight loss journey. Just pick yourself up and get straight back on track, it’s really not the end of the world. What might happen after you cheat. If you’re very lucky nothing happens,no gain, no loss. But probably a small gain the day after but then continued weight loss the following days. You may lose weight the day after the cheat but your weight loss will stall the next day. A cheat doesn’t mean ultimate failure it just means it will take longer to get to your goal weight. It’s really important that you DON’T cheat if you can avoid it because a break in the diet can make it more difficult to get back to eating correctly and can cause you to have cravings …when you are following the HCG diet your body develops a routine so please be aware of what you are putting in your mouth. However a slip up can so easily happen so instead of stressing about it …just dust yourself off and get back with the program. Stay positive and make sure to drink lots of water Remember there are no cheat days on the HCG protocol it has been specifically formulated so that you can achieve maximum weight loss. Don’t start to feel down or demotivated it’s only a little hiccup, so get over it and continue to move forward. Good Luck and Happy Shrinking.